"Villa Poggio di Gaville" is a wonderful antique Villa in an idyllic setting among woods, meadows, vineyards and olive-groves in the Chianti shire that has been restored to its original splendour in 2004. Especially in the reading room the big antique chimney and the wooden ceiling bring the typical atmosphere of ancient times back to new life. "Villa Poggio di Gaville" offers not only relax but also various activities, such as an inviting swimming pool of remarkable size (170 sqm!) and a little natural lake with a wonderful view. The villa's beautiful far-reaching surroundings invite to take pleasant walks, which you can extend until the close by Lake of Santa Barbara. Here you can also go fishing, and in the local sailing school learn to sail a boat. 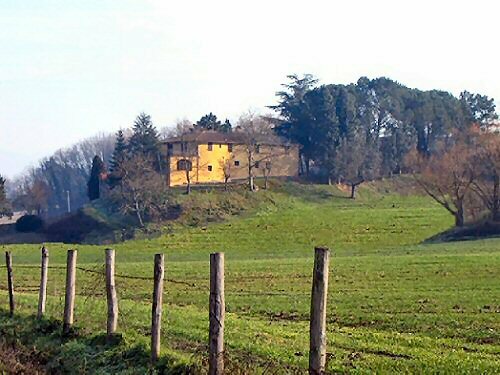 Not far away from the estate is a horse farm, in Figline Valdarno you can play tennis and in the Golf Club Ugolino you can play Golf. Thanks to a few Outlets in the area even Shopping addicts will have a good time. We organise trips with a minibus and guide to the Chianti shire, Florence, Arezzo, Siena and the most beautiful parts of Tuscany as well as to wine, oil and cheese tastings in typical Tuscan farms. 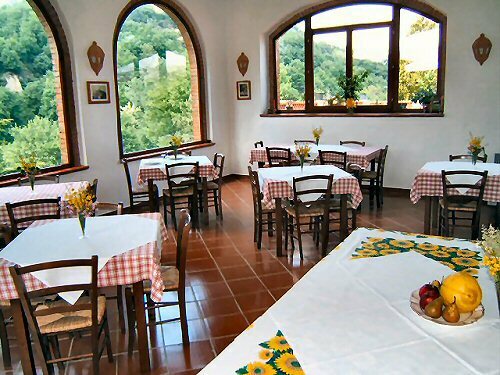 The main house of "Villa Poggio di Gaville" offers 12 double rooms on two floors, all feature colour TV and individual heating. We don't have air-condition because even during the hot summer season at night you'll need a light cover because it is pleasantly fresh. 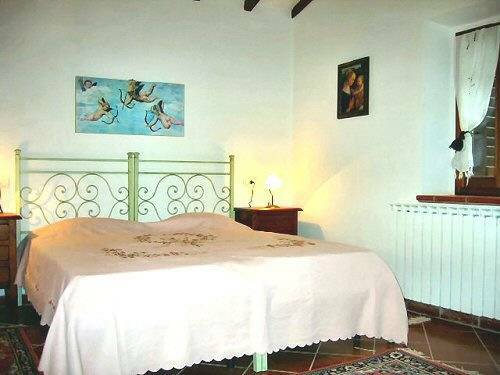 All rooms have typical Tuscan furniture, wooden wardrobes and wrought iron beds, Cotto floors (in part still the antique original floor) and wooden ceilings (first floor). The two Double Superior rooms both have a wrought iron four-poster bed and a 25 sqm wide panoramic terrace. In these rooms a third bed can be added (surcharge). The villa features an inviting swimming pool of remarkable size (170 sqm!) and a little natural lake with a wonderful view, where you can relax and watch the sunset zipping a glas of our phantastic local wine (Chianti). Villa Poggio di Gaville has 9 double and twin rooms, 1 single room and 2 Double Superior rooms with tester beds and each a private terrace of 25 sqm. All rooms have an ensuite bathroom with shower or bath tub and individual heating. Our house doesn't feature air-condition because you'll need a light blanket at night even in the summer, because at night it is pleasantly fresh. 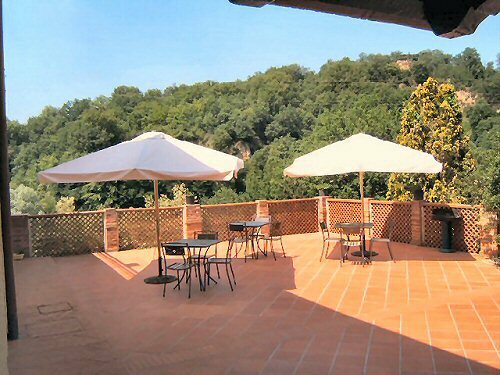 The villa is surrounded by its 12 ha of land and lies right next to the famous area of "Chianti classico" and close to Casentino nd Pratomagno. Children up to 3 yrs. sleep for free (without their own bed, a cot costs 10-15 Euro/night), children from 4-10 yrs. pay 50% less and between 11-14 yrs. pay 20% less. Discount for longer stays: 10% for more than 15 nights, 15 % for more than 22 nights. In case of no-show: 100% of the total amount of the stay is due (minimum 2 nights). 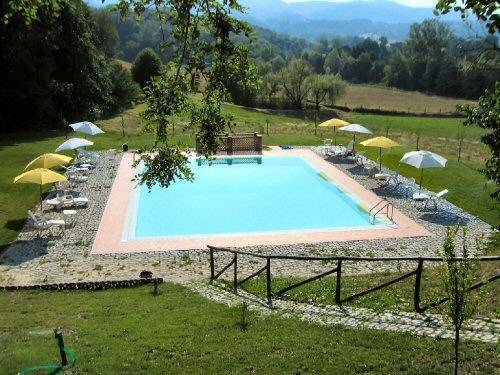 At the moment of arrival at Villa Poggio di Gaville the whole amount of the stay is due, changes are not accepted (prolongation of the stay are possible only if there is vacancy). On the highway A1 take the exit Incisa Valdarno and turn right towards Reggello. Take the first street on your right towards Matassino and go straight until you see the sign for Figline Valdarno (right). Turn right and follow the street SP 69 (after the bridge you have to turn left in order to stay on the main street), after the next right turn of the street you will pass in front of a discount market LIDL. At the following roundabout go straight and at the second roundabout take the street in front of you (on the right of the house with the orange wall and the sign "MOBILMARKET") following the sign to "Gaville". At the first intersection turn left, you'll pass the hospital SPEDALE SERRISTORI (on the right). At the next roundabout follow the sign towards "campo sportivo" and go straight (following the indications to Gaville) up to the little village of Gaville. 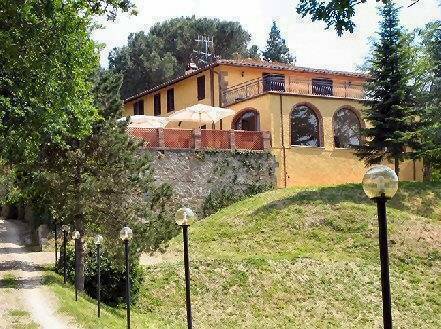 At the exit of the village take the street on your left downhill following the sign to "Il Poggio di Gaville". Go straight for exactly 2 km and you'll see the sign of "Il Poggio di Gaville" on the right. Turn right and immediately left again and you'll be entering the estate.